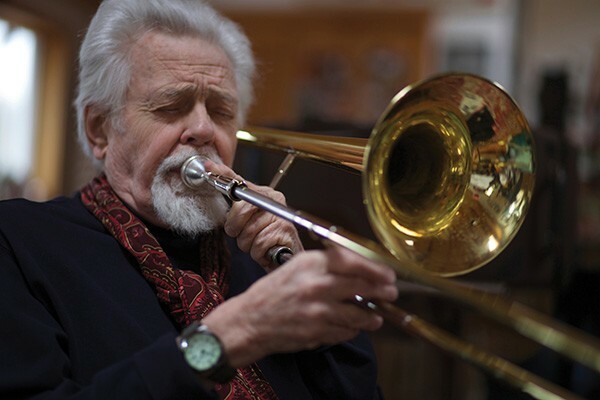 As the father of free jazz trombone, Roswell Rudd is responsible for some of the most innovative music of our time. Since rising to prominence in the early 1960s as a member of the highly influential New York Art Quartet and alongside other heroic groundbreakers like Cecil Taylor, Steve Lacey, and Archie Shepp, he's made music that's frequently filled with visceral challenge. Now, however, Rudd faces some challenges of his own. 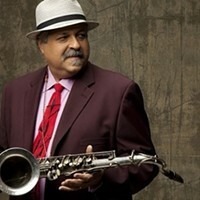 Recently diagnosed with prostate cancer, he still plans to keep performing as long as he feels up to the task. And currently the Ulster County resident maintains he's doing well while preparing for the July 26 appearance by his new Kerhonkson Trio at the Kleinert/James Center for the Arts. "Yeah, I'm feeling pretty good," he says via phone. "I've been following through on my other plans, and I'm really excited about doing the gig." The occasion marks the debut of the trio, which in addition to Rudd features his neighbors Heather Masse on vocals and Rolf Sturm on guitar. "[The trio] comes at a great time," the trombonist enthuses. "I couldn't ask for two more talented associates to start a new project with. Having people you can hang out with musically makes working on new material so enjoyable, and it can give you a new angle when you're playing standards." 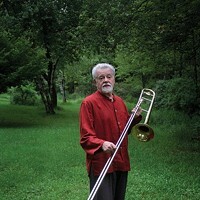 Standards make up the focus of Rudd's latest album, Trombone for Lovers (2013, Sunnyside Records), which topped many jazz best-of-the-year lists, including the vaunted NPR Music Jazz Critics Poll. Released on his 78th birthday, the set pairs the self-dubbed "Incredible Honk of Kerhonkson" with such consummate comrades as fellow trombonist Steven Bernstein, vocalists Masse, Bob Dorough, and Fay Victor, keyboardist John Medeski, and guitarist Gary Lucas. A standards album was something Rudd had long considered but never attempted before, and Trombone for Lovers offers surprising takes on evergreens from the spheres of pop and rock (Santo and Johnny's "Sleepwalk," the Beatles' "Here, There and Everywhere") as well as jazz ("Autumn Leaves," "Struttin' with Some Barbeque"). "These were things that had gone into my body, music I'd heard on the radio or on the street," explains Rudd. "I thought, 'As long as this is in me, why not let it come out?' It's another piece of the puzzle." For the Kleinert concert, the horn man plans a set list of "some new things and probably some familiar things that we'll put some new touches on." Augmenting the trio of Rudd, Masse (a regular guest on NPR's "A Prairie Home Companion" and a member of the Wailin' Jennys), and Sturm (who's worked with David Johansen and Jorma Kaukonen) for the performance will be bassist Mark Helias and, according to Rudd, possibly a drummer. "It amazes me how much energy and wisdom are in each of these musicians," Rudd says. "Playing with them is a beautiful way to keep growing." 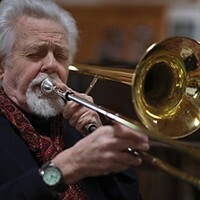 Roswell Rudd's Kerhonkson Trio will perform at the Kleinert/James Center for the Arts in Woodstock on July 26 at 8pm. Tickets are $20 ($18 for members). (845) 679-2079; Woodstockguild.org.